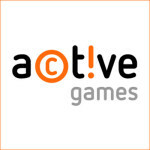 Active Games is the “ One-Stop Shopping” place for companies that wish to set up their gambling business in Italy. Today, Italy is the main regulated gambling market in Europe; its set of rules are the benchmark for all the other governments. Companies that work here will already have a head start with setting up organizations in all other jurisdictions. At the same time Italy is a fiercely competitive market, with very strict compliance requirements. Italy is the only country in which operators needs to have a direct realtime connection with the government’s system through given protocols.